robotics-university.com | The ABU Robocon 2012 was held in Hong Kong on 19 August 2012 where 17 Engineering teams from 16 countries or regions participated. The Theme for Robocon 2012 declared by Hong Kong was In Pursuit of Peace and Prosperity.The winner of the Robocon 2012 is University of Electronic Science and Technology of China. The theme rule of ABU ROBOCON 2012, download here! 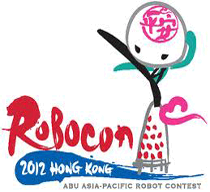 0 Comment For "ABU ROBOCON 2012 Hongkong"